NASA aims to launch on March 19 an Orbital ATK-built Cygnus spacecraft to perform the seventh cargo delivery mission to the International Space Station. Orbital ATK’s Cygnus will have a 30-minute launch window that will start at approximately 10:56 p.m. Eastern time and will take off aboard a United Launch Alliance-made Atlas V rocket from Cape Canaveral Air Force Station in Florida, NASA said in a blog post published Friday. The agency said Saturday it also opened the accreditation process for U.S. and international media that will cover the 7th cargo resupply flight launch activities at Kennedy Space Center and Cape Canaveral. 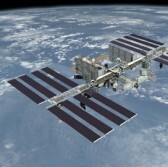 In addition to vehicle hardware and supplies for Expedition 50 and 51 crews at ISS, experiments that will fly onboard the Cynus spacecraft include the Advanced Plant Habitat designed to perform plant bioscience research on the orbiting laboratory and the Slosh Coating experiment that seeks to test a type of coating that works to repel liquids when used on container walls. The space vehicle will also bring to the ISS magnetized cells and tools for use in cell culture research and several CubeSats that include a NASA payload called IceCube that will work to collect data on ice clouds and its impact on climate change.